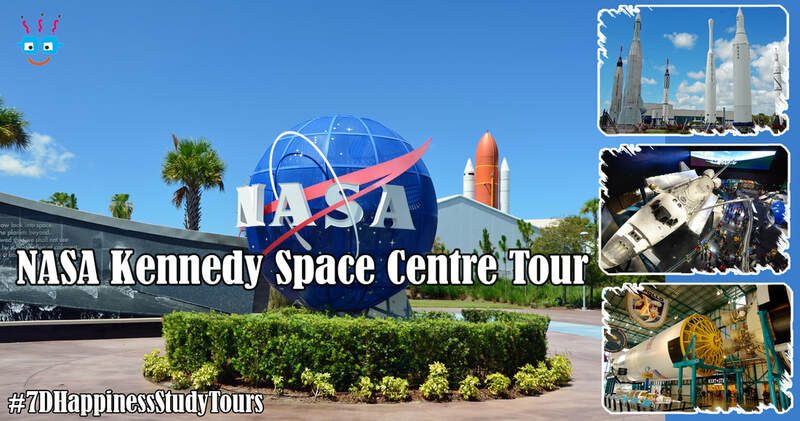 Kennedy Space Center (KSC), NASA, offers a wonderful educational and entertainment experience to students and people of all ages. Here students get a chance to explore, experience and interact through space shuttle mission simulations. It’s an enriching experience that comes once in a lifetime. NASA’s John F. Kennedy Space Centre set the stage for the American adventure in space. Sprawled across 140,000 acres on Florida's Atlantic coast, the center has hosted the succession of rocket launches that have rewritten our knowledge of aeronautics and Chosen because of its perfect location, with the wide Atlantic providing a buffer, Kennedy Space Center manages and operates America's astronaut launch facilities. Serving as the base for the country's three space shuttles, KSC has been the launch site for every U.S. human space flight since December 1968. Its iconic Vehicle world by Volume [1 ] and was the largest when completed in 1965. Educators introduce the concept of space travel by guiding students through the early years of NASA. Students encounter and photograph the actual rockets, spaceships spacecraft and spacesuits from the Mercury, Gemini and Apollo programs while hearing stories of our early space heroes. Educators guide them through a detailed explanation of the operation of Launch Complex 39 where Apollo 11 started its historic journey to the moon. Students construct, then launch, their own air rockets in a field adjacent to the huge rockets in the historical Rocket Garden. Prizes are awarded for distance, design and accuracy. You encounter an actual Moon Rocket and witness man's first launch into lunar orbit and the first footstep on the Moon. Students team-up as they are presented with a NASA engineering challenge: To design, build and test a truss segment similar to those that might be used aboard future spacecraft. Prizes are awarded to the teams who design and construct the strongest truss segment. Students receive an up to date briefing on the state of international space efforts. Educators will highlight the achievements of each space faring nation,. Students view fantastic 3-D IMAX films on the International Space Station on one of Kennedy Space Center's 5-story IMAX screens. Students experience a buffet lunch and meet an actual space explorer, who will talk about the future of space exploration. Students are encouraged to ask questions and later they receive an autographed souvenir from their astronaut guest. Apart from education, students will enjoy the magical attractions of Walt Disney World Resort, Universal Studios / Sea World. Magic Kingdom, one of four theme parks at the Walt Disney World Resort, is among the most visited theme parks in the world. It captures the enchantment of fairy tales with exciting entertainment, classic attractions, backstage tours and beloved Disney Characters. Epcot is another one of the prominent theme park at the Walt Disney World Resort, dedicated to international culture and technological innovations. It is the third most visited theme park in United States, and ranks sixth among the most visited parks of the world. Disney's Hollywood Studios, a theme park at the Walt Disney World Resort offers behind-the-scenes glimpses of Hollywood-style action with live shows, thrilling attraction, backstage tours and special events dedicated purely to entertainment,all exclusively at this park. It is the fourth most visited amusement park in United States and seventh most visited in the world. The first Disney Theme Park subjected entirely around conservation, accredited by the Association of Zoos and Aquariums, signifying the exceeding standards that have been met in Education, Conservation and Research. Universal Studios has plenty for younger kids like the E.T. Adventure, a fanciful experience where one rides its own bike through the night sky. Sea World is a combination of both marine life park with compelling stadium shows and a rider park that features variety of thriller rides, wild coasters and other breath taking attractions. The parks feature captive orca, sea lion and dolphin shows along with zoological displays featuring various other marine animals.